This panabode cabin combines old fashioned elegance with a charming view. 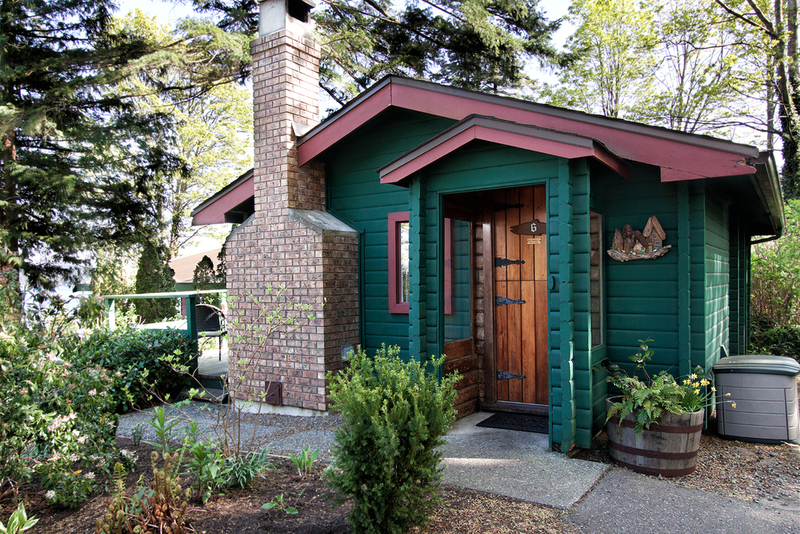 Surrounded by majestic firs and a lush garden, this studio has a queen size bed, flat screen cable tv and a fully equipped kitchen supplied with fair trade coffee and teas. 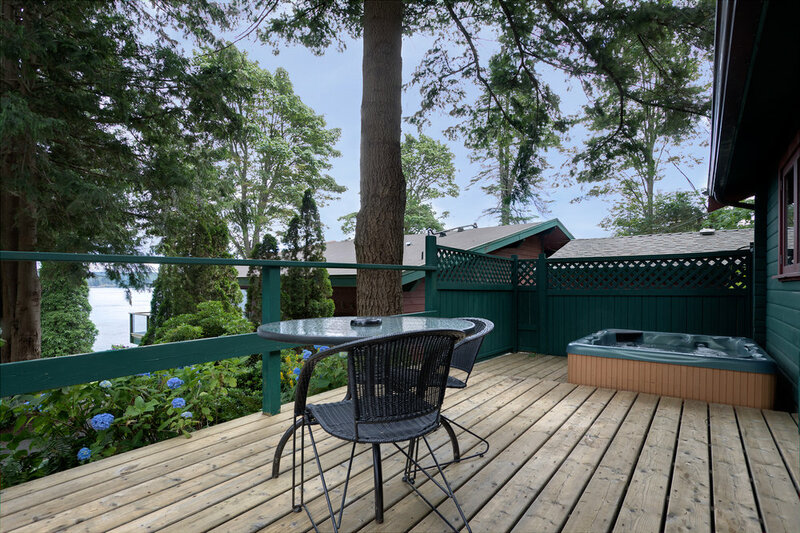 With a private ocean view hot tub, gorgeous river rock fireplace and an evenings supply of firewood, its easy to relax and unwind in this cozy cabin.